Welcome to Coral Reef! 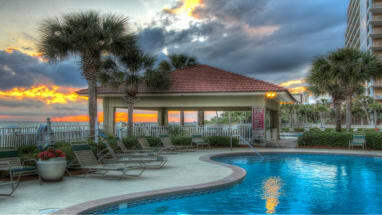 Emerald Coast by Owner is proud to offer you a number of properties all throughout this beautiful complex! Coral Reef is an extremely luxurious condominium complex that sits right on the shore of one of the world's most beautiful beaches in Panama City Beach! This massive complex comes with a number of amenities and convenient features, such as the two outdoor pools, beautiful view, private beachfront balcony, exercise room, grilling area, volleyball, large condos and so much more! As for the condos, they range from 2-4 bedrooms, come with free Wi-Fi, a washer, dryer, TV with HBO and many more conveniences. When it comes to what to do off Coral Reef property, the possibilities are endless! Just a few things nearby are Shipwreck Island Waterpark, St. Andrews State Park, mini golf, Miracle Strip Amusement Park, parasailing, jet ski rentals, dolphin encounters, deep sea fishing and so much more! Enjoy the crystal blue waters of the Gulf Coast with a vacation rental from Emerald Coast by Owner. Scroll down now for information on our Coral Reef properties. Book direct with the property owners or managers through ECBYO. Contact the property owners directly with any questions! We hope you enjoy your stay at Coral Reef in Panama City Beach, FL.